I’m working through poking the RHEL8 beta with a pointy stick. In reading through the release notes, and poking around yum, I found that docker is suspiciously missing. For a company so bent on Open Containers, I thought that was pretty odd. So I started to dig a bit. Turns out, containers aren’t gone, just docker! I was a little put off by this, I’ve devoted quite a bit of time to learning docker. Well, fear not, podman to the rescue. Nope, Podman is a docker-comatible cli to run OCI compliant containers. That means you can run all your familiar Docker containers on podman. The real mind bender here though, is that podman doesn’t have a daemon. The docker daemon did things like, setup your host based firewall for forwarding and NAT, and auto-started your containers for you at boot time. This meant that in-between your OS and your containers was this extra layer. Podman still handles the environment setup like the docker daemon did, but it does not auto-start containers. Instead, podman containers are auto-started via systemd units. I found a nice write-up on that here. So what’s this podman look like? Podman’s CLI is meant to mimic docker, where it can. I did some poking about, and here’s what I’ve come up with. I ran a quick centos container, just to see how it worked. the CLI is practically identical. I did run into some issues with the –name flag, mainly I was used to –name=foobar, something docker accepted just fine, and podman is –name foobar. I figured it our pretty quickly and moved on. The centos container was simple, let’s see what happens if we run something a little more complicated like wordpress! I pulled the image with podman pull, and then ran it just like I would in docker! Emulate Docker CLI using podman. Create /etc/containers/nodocker to quiet msg. Logs works as expected, and we can see that the service is in fact up. The –restart flag is gone, likely because it can no longer function like we expect it to in docker land. So instead you’ll have to learn to write those systemd units for your containers. It’s about time you learned systemd anyway! So the other thing I wanted to test was docker-compose. From what I’m reading, this isnt implemented yet, but will be handled natively with podman as “pods”. Guess we’ll see. One last thing, I wanted to just try out a basic dockerfile. So I wrote my own very basic dockerfile, to install apache on centos, and ran it. [root@rhel8-testmachine test-dockerFile]# podman build -t apache-test . Then, just to make sure, I ran it, and it worked! So in all, don’t fear the podman. He works just like your old friend docker, and seems to have some potential for even lighter weight systems in the future. 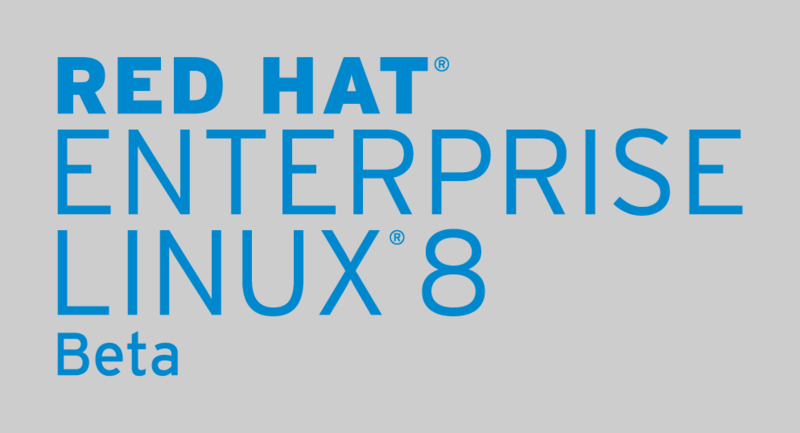 Stay turned for more on the RHEL8 Beta!